Our lightweight, tiled conservatory roof conversion will help keep you warm and cozy in the winter and cool all summer long. 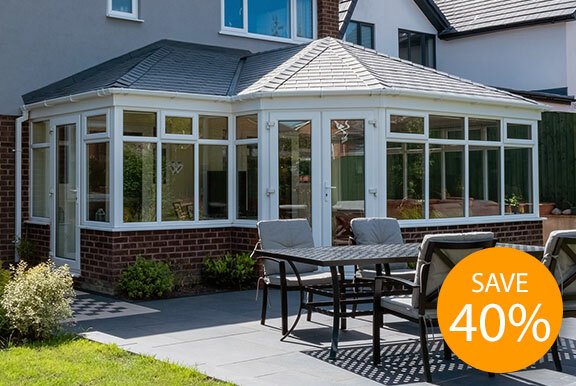 The reinforced and fully insulated frame is typically 40% less than the cost of a full conservatory roof replacement and can also be plastered and decorated to match your home. 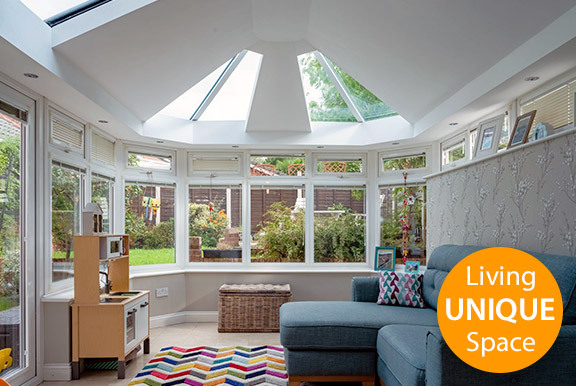 A custom-made system that’s built to last - the ultimate tiled roof replacement for your conservatory. 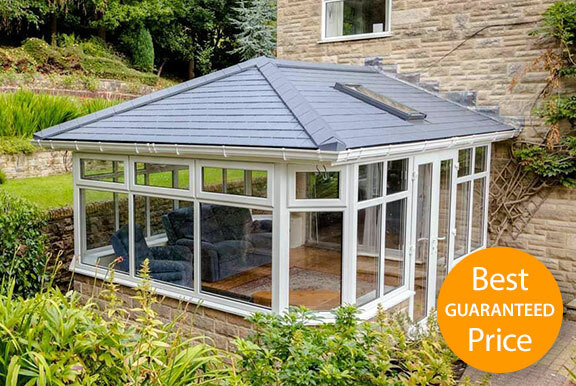 The lightweight, timber roof structure is compatible with any shape and size of conservatory and the BBA certified, composite slate tiles come with an unbreakable, 40 year warranty. 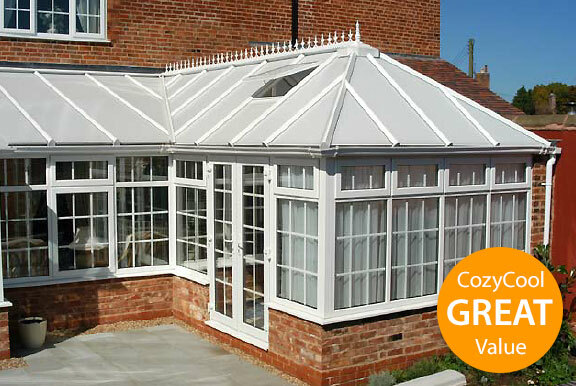 One of the most innovative and stylish conservatory roof replacement systems available today. If you value the importance of natural light, then you can easily substitute one or more of the insulated, aluminium roof panels with thermally efficient glazed units. Replace tired and worn out polycarbonate panels with our great value and quick to install, insulated conservatory roof panels. Super-strong and yet incredibly light, these 25mm thick composite roof panels are designed to fit securely into the existing framework for all-year-round protection. The finished job is A1, totally transformed a tired and drab conservatory which we could not use in the winter.